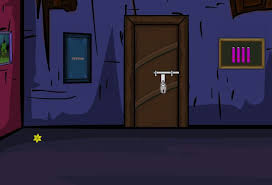 Nsr Mortar Room Escape is another point & click escape game developed by NsrEscapeGames. In this game, a necklace - worth 2 billion dollars - has been lost. The curator has now appointed you to retrieve this piece of jewellery. you have received information about the home where the necklace was kept. Enter the house and find it by solving some interesting puzzles with the help of hidden clues. Click on the objects to interact with. Good luck and have fun! Use 4 numbers for letters on couch 1=A, 2=B, etc.